Sibling relationships have a major influence on a person's development and behavior, yet, until now the topic has been seriously underrepresented in the professional literature. 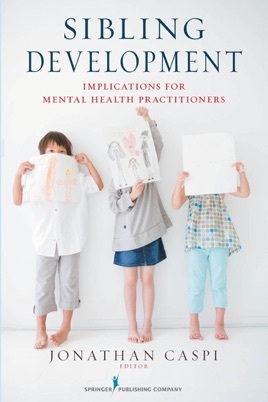 Sibling Development: Implications for Mental Health Practitioners addresses this gap by examining the range of developmental, clinical, and cultural issues related to sibling relationships. It highlights positive sibling relationships as a source of strength and resilience; at the other end of the spectrum, it addresses sibling abuse, a dangerous and underdiagnosed condition. It demonstrates the crucial support that siblings can provide each other in families experiencing mental illness, substance abuse, divorce, and other stressors. It also considers issues of cultural and ethnic diversity, gender, disability, and sexual orientation as they relate to siblings and their families. Each chapter provides case studies to illustrate how theory and empirical findings can be incorporated into culturally informed treatment, and offers implications for practice and future research. It is an essential resource for all practitioners, researchers, students, and educators who work with or study siblings.